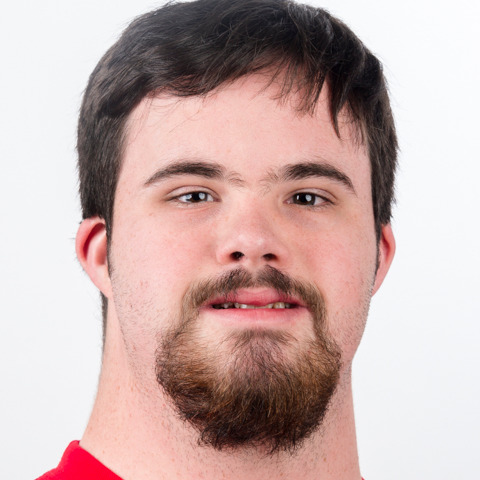 William Mullican has been participating in Special Olympics for 13 years. He has competed in most of the sports offered, but has started to focus on his favorites: basketball, golf and flag football. William is a bit of a star. He has done a PSA with Nolan Ryan and and an R-Word commercial with Mack Brown (former coach of the University of Texas). William is holding down two jobs currently, working as a host at Rosso's NY Pizza and as a Barista at Empowered Coffee. Empowered Coffee is run by persons with developmental disabilities. In his spare time, William loves to collect and watch movies.